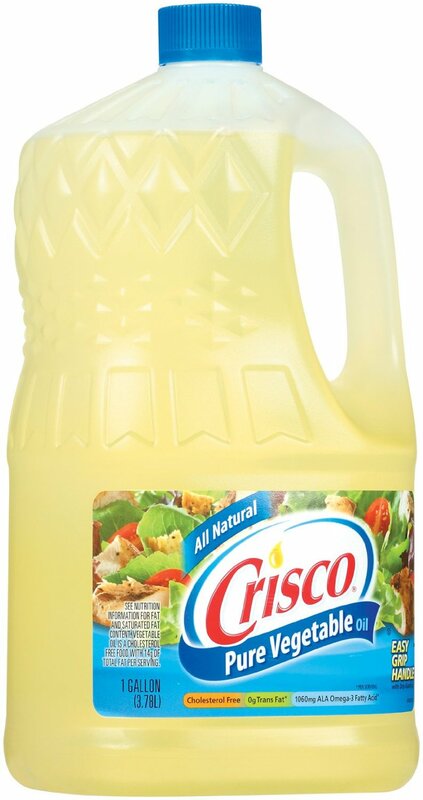 Sold by Crisco Great Quality and value for money 128 OZ unit measurement Contains 4 Packs Total Buy in Bulk and Save some cash! Category: Our offers. 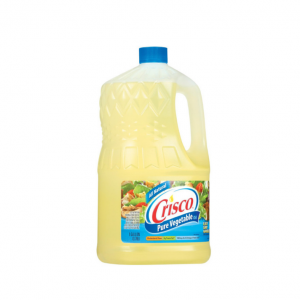 Tags: external Ingredients Crisco Pure Vegetable Oil,. See nutrition information for fat and saturated fat content. Vegetable oil is a cholesterol free food with 14g of total fat per serving. 1060mg ALA omega-3 fatty acid*. Easy grip handle with drip-guard lip.